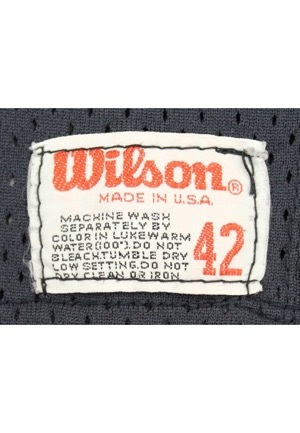 On the front left tail is the Wilson manufacturer’s tag size “42” with washing instructions. 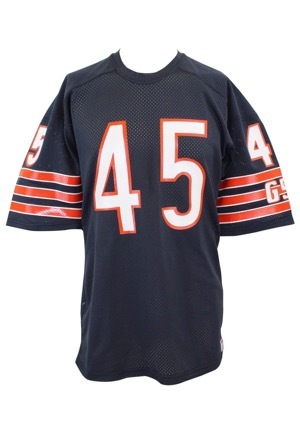 Across the front, back and on both sleeves is the player number “45”. 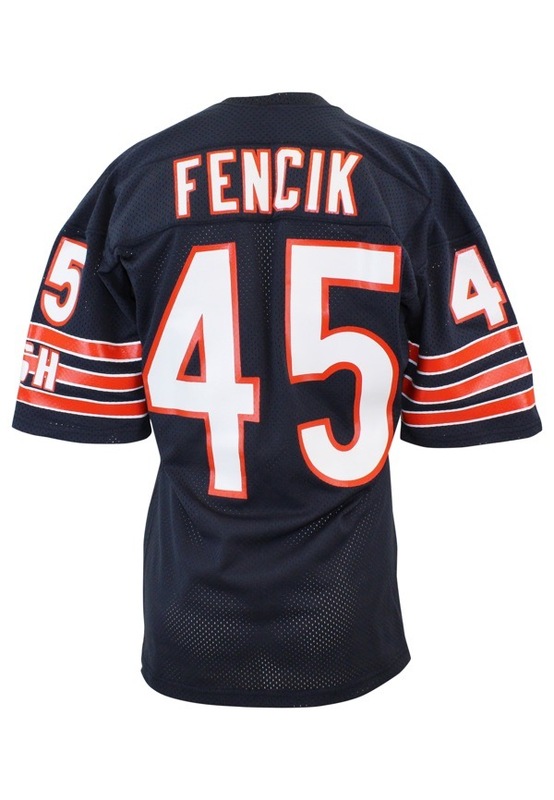 Across the back on a navy blue nameplate is the player name “FENCIK”. On the left sleeve beneath the player number is the “GSH” patch. All numbering and lettering is done in white on orange vinyl. This jersey is properly tagged, was presented to us as game-used and in our opinion shows appropriate use.